Burley Dunlin came out of semi retirement here she is colt Hunting with Nicky Stephens ! Mastwood Avril and her outstanding colt Burley Springsteen By Willoway Minstrel have both found a new home in Cambridge with Bridget Garnish. I wish her the best of luck with these two lovely ponies. 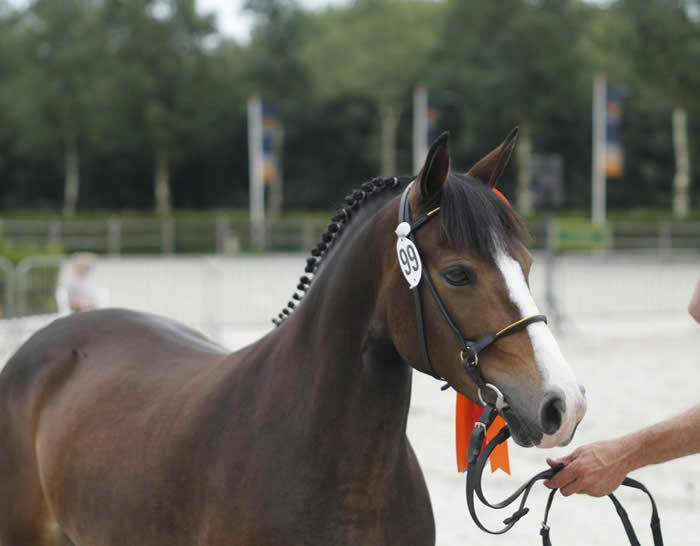 and her young rider Emily Waldron have a successful partnership in the show jumping world. 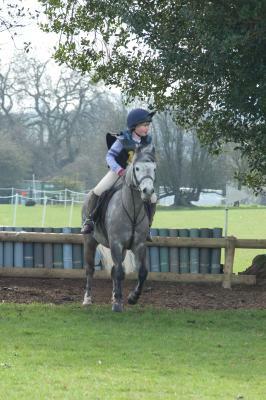 Mystery has won £110 BSJA since the New Year, well done to Emily and her athletic pony! 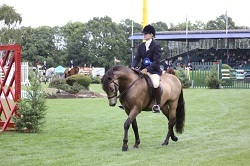 At the recent (June 2011) Derby meeting at Hickstead Hallmark qualified for HOYS ridden by his owner/ producer Kerry Humble. 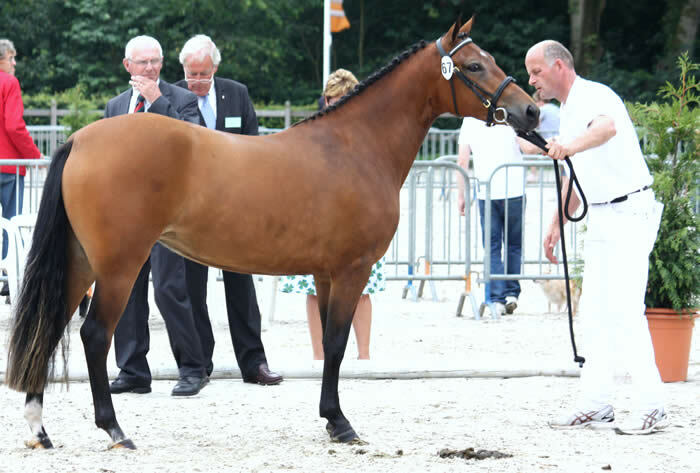 exported to Anna Ransholm in Sweden by John & Wendy Adams this spring , went to the stallion passing and gained the highest marks of the day from the judges. They included two 9 s for jumping and a 10 for canter. 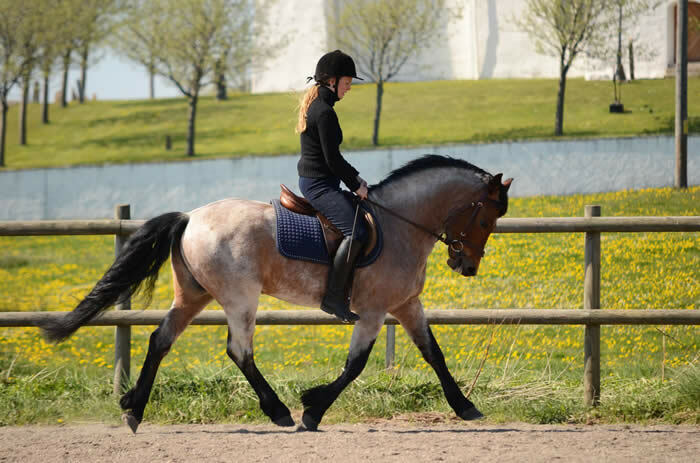 He is now being trained to go under saddle.
. I gelded him and he ran back with the herd.. 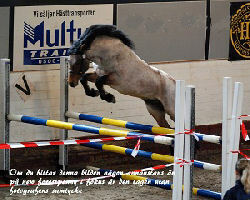 He is now about 14hh at 2 yrs old and has the most charming temperament. 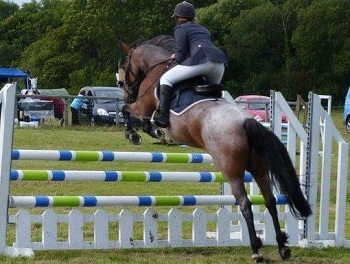 He came 2nd in the 2 & 3 yr old gelding class at The New Forest Pony Enthusiasts, his first show ! 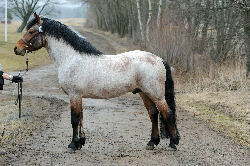 Mystic went to the New Forest County Show and won a huge 1,2,&3 yr old gelding class and was also 3rd at the Breed Show. 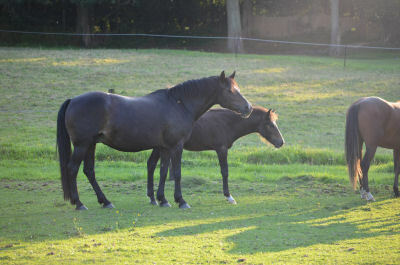 I am pleased to say that Mystic has found a lovely home locally with Mandy Shepherd and her family! 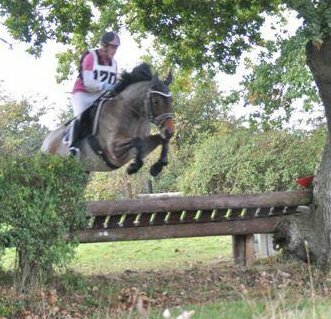 Dumbledore did very well at Staffordshire County recently. 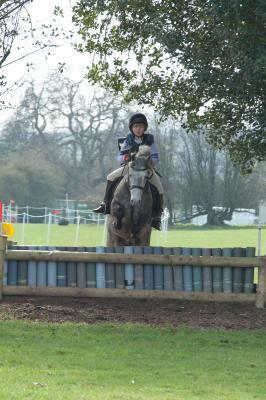 This was his first county show and he came 2nd in both the Tiny Tots and the Cradle Stakes with his 7 year old rider this follows his success at the Meynell pony club camp last year winning the one day event when Sammy his rider was only 6 years old. Well done Sammy and Dumbledore ! 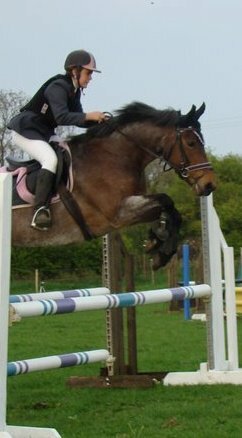 Dumbledore continued his winning ways by coming 1st again at the Pony Club Camp One Day Event again this year 2010! 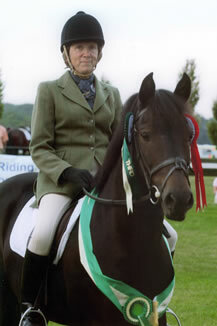 Weirs Aveline was given silver graded mare status at the AGM March 26th 2010. Although Aveline is no longer with us I am pleased that her progeny have given her this recognition. The scheme only started in the present format in 2003 so I am very pleased that even though it has only been seven years and she has reached this level. 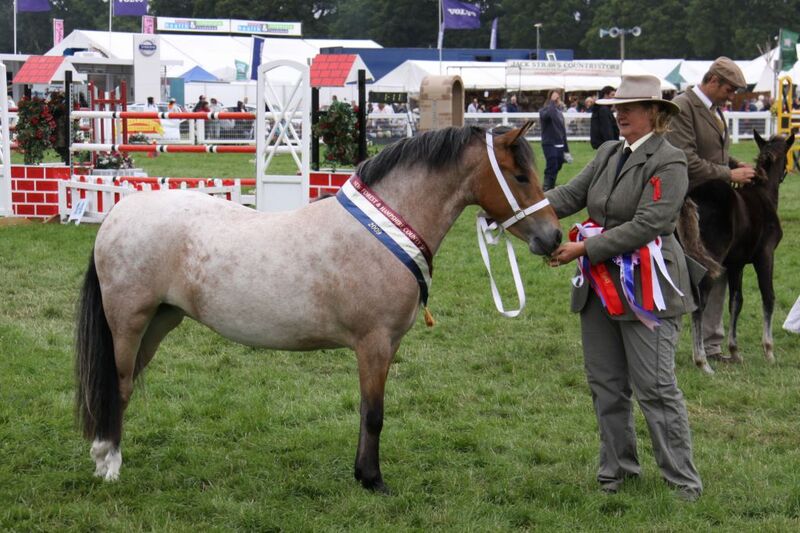 Tiptoe Holly won the small pony class and came second in the small open brood mare at the breed show and her foal Toy Soldier was second in the well filled colt foal class. and the Supreme Champion Hollybrooke Rambler was by Burley Traveller out of Randalls Little Gem ( my Mothers breeding). Congratulations go to John & Wendy Adams owners and breeders of Rambler !! River's present owners, The Ashwoods, have got in touch to say how well he is doing! 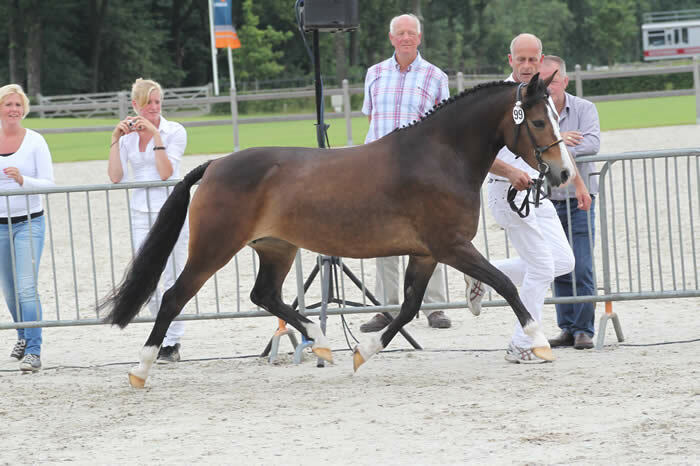 He was exported to Holland as a foal and was used as a stallion for a few years and trained for dressage. 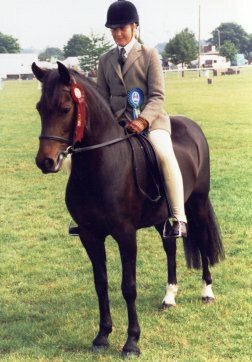 he was then sold back to the UK where he has competed at Medium level dressage and locally in Working and show hunter classes. 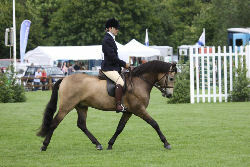 The Burley Stud had a terrific New Forest Show ! 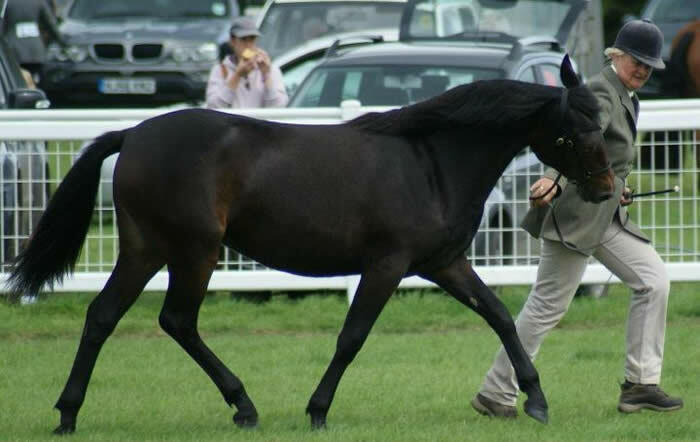 Burley Barrister, won the yearling colt class for delighted owner Sandra Kilford , Burley Holly for John & Jacqui Lowth won the large brood mare class and Burley Rain won the 2yr old filly class and then went on to be New Forest Champion and Mountain & Moorland Reserve Supreme! I was particularly pleased with this result as she is one of my tinies standing at only 12 hh (122cms)!! 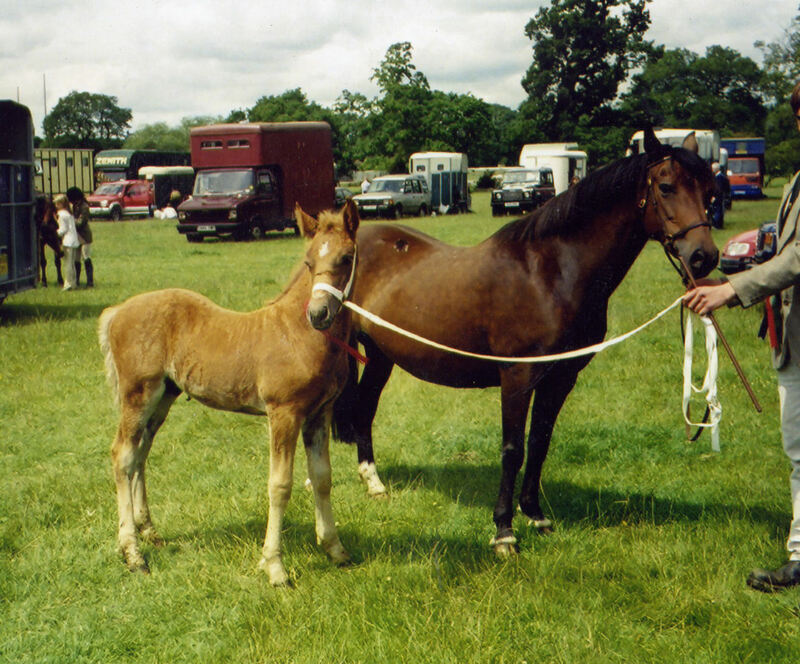 Mastwood Avril and her 3 week old filly foal, Burley Faith, competed in the novice New Forest brood mare class at the Enthusiasts show on June 7th. Avril won her class and much to my delight, Faith continued the winning streak by winning her foal class as well. 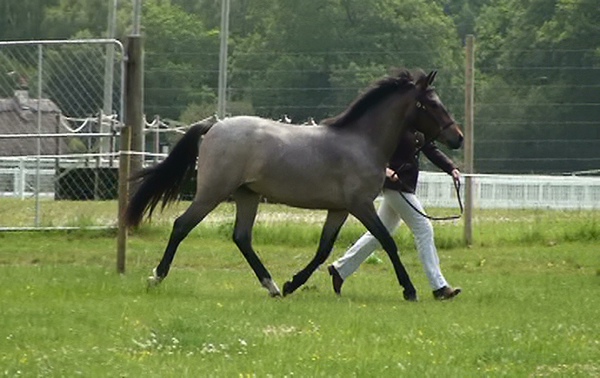 I was very pleased with her behaviour as I only started to halter her 5 days before the show ! 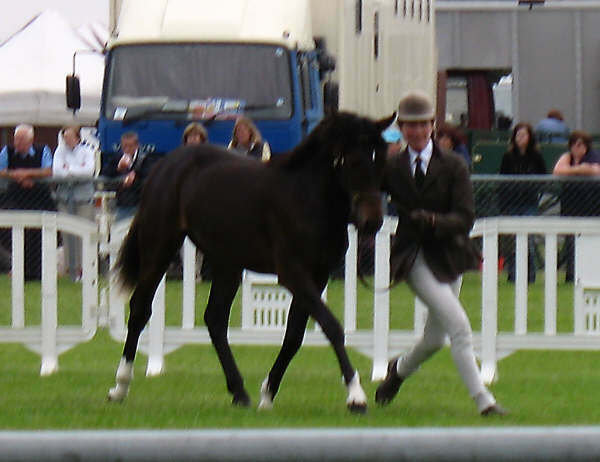 Burley Barrister has continued with his success by winning the yearling class at Ardingly (South of England) and NPS Area 24! 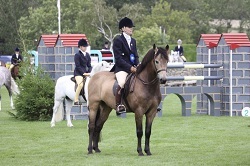 Burley ponies were successful at the Bath & West coming 3rd (Burley Barrister) for owner Sandra Kilford and 4th ( Burley Gold Rush) for owners John & Jackie Lowth, in the yearling class and 4th (Burley Timelord ) for John & Wendy Adams in the 2 & 3 year old class. Graded Mare Forest Bred by Rodlease High Time Too - out of Weirs Jane II bred by the well known breeder the Late Mr Harry Burt. 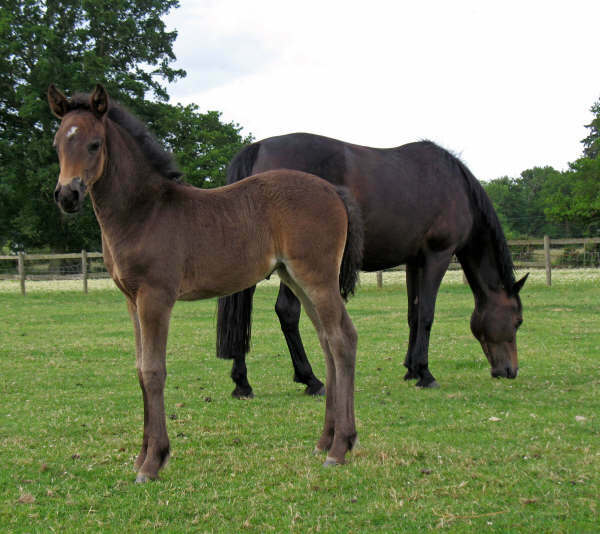 Aveline was bought as a foal from Harry Burt at weaning straight off the forest. 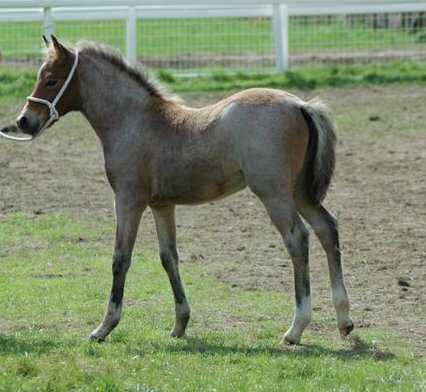 She has had many wonderful foals too numerous to mention. 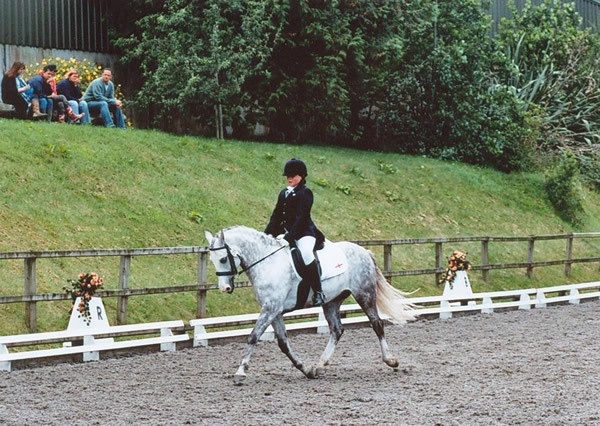 Most have gone on to be very successful in both performance and showing . I am very sorry to say that after having the privilege of owning Aveline for many years I lost her last Autumn. 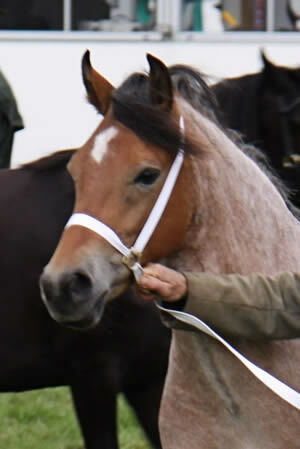 However I have retained her filly Prophecy by Applewitch Pure Magic, who I hope will become a worthy replacement.